What’s the trend and should YOU give it a try? As more people swap out meat for plant-based diets and cruelty-free alternatives, take a look at how vegan meat-replacements are making themselves known, from burgers and meatballs to sausages. Why vegan meats? And why now? People are becoming increasingly aware of what they’re putting into their bodies, and far more interested in dining alternatives. Moreover, consumers are becoming more passionate about ethical causes, particularly where animal welfare is concerned. Memphis Meats senior scientist Eric Schulz (from the Silicon Valley-based cultured meat company) says, “We’re decoupling the notion of meat from the animal. We’re making meat, but we don’t need to feed, breed, or slaughter animals.” And there are many more companies with exactly the same mindset. Beyond Meat and Impossible Foods are catering to the idea of ‘clean meats’ that are cruelty and slaughter-free. By using technology to perform advanced research, tech efforts are discovering what kind of plant formulations would make for delicious and highly nutritious foods without the health and food-borne illness risks of animal products. Eric Schmidt, (executive director of Alphabet, Google’s parent company) says that, “we’re entering a revolution of replacing livestock with plant proteins,” and that developing plant-based vegan meat could significantly reduce the cost of food production in developing nations. Considering that meat consumption in the U.S. dropped by 15 percent in 2015 and vegan products are expected to make up a third of the protein market by 2054 (according to mercyforanimals.org), veganism isn’t slowing down in its invasion of the market. Not to mention that with vegan foods more accessible than ever, it’s becoming easier to ditch meat and animal products and opt for plant-based diets. Take for example these vegan meatballs (pictured above), made from tofu and seitan. They sure look like the real thing, and they’re packed full of protein that make for a hearty meal or snack. And the best part is that they’re free from extra fat and cholesterol! How are people responding to this trend? We’re not kidding, this burger actually exists! 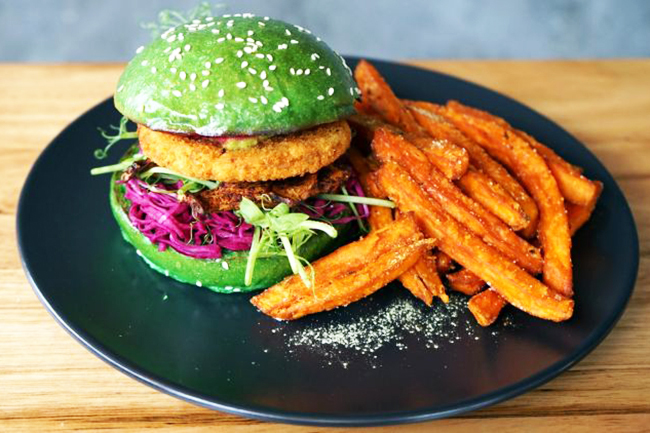 A creation from the Matcha Mylkbar vegan cafe in Australia, like many vegan options, the creators go to great lengths to make their food more appealing. Not to mention that the ‘meat’ looks – and for that matter tastes – so legitimate, you could be mistaken for thinking it’s the real thing! While this trend might be more of a hit for omnivores than vegans, for anyone looking to start a more meatless diet, this is one way to do it. Giving up a classic juicy burger can be tough, so it’s reassuring to know that there are still ways to enjoy one from time to time. What can I make like this? Our friend Meg van der Kruik from This Mess Is Ours has the answer. This delicious Fully Loaded Black Bean Burger recipe might look intimidating, but it’s actually pretty straightforward. Plus, it’s perfect for sneaking lots of veggies in without the kids knowing. With everything from cashews, avocado, sweet potato, walnut, kale, black beans, oats and more all rolled into this fabulous dish, there’s something for everyone. And that’s not all! While we’re on the topic of burgers, we thought we’d include this great Eggplant Parmesan Sandwich from This Mess Is Ours as well. 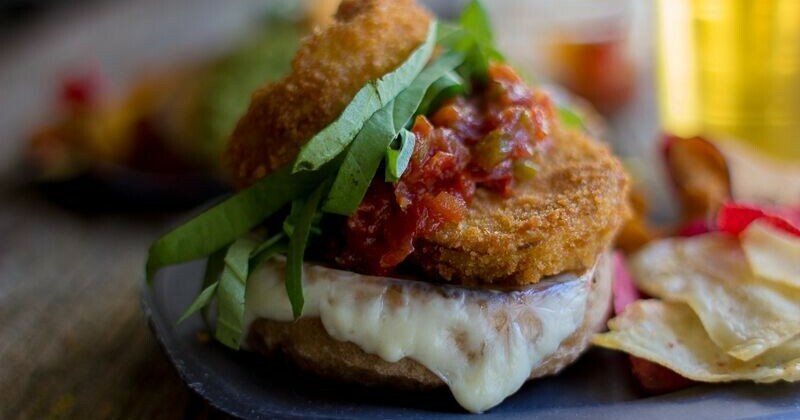 Made like a parmesan-veggie burger, this recipe is topped off with a homemade jam that really brings out the flavors of the eggplant (which is smothered in pesto and fresh basil). Mmmmm! Are you a passionate vegetarian, or tempted to give it a try? Let us know on Facebook, and don’t forget to send us pictures of your Massel meal creations.